We assembled a set of 2007 Zinfandels from Napa and Sonoma counties, featuring some wines from famous producers such as Rosenblum and Ravenswood, to new labels such as The Federalist, along with some under-the-radar vintners such as Surh Luchtel, Sbragia and Titus. 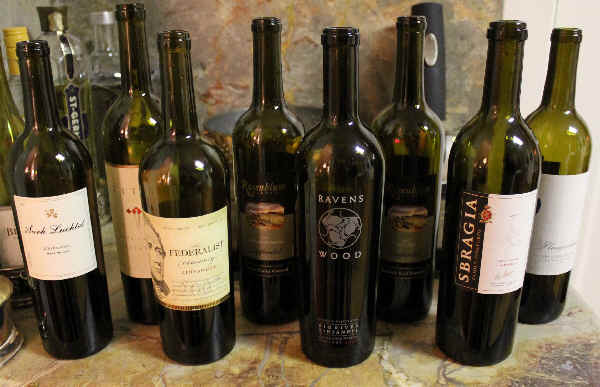 The wines ranged in price from $19 to $35 and you'd think we could find some good bottles. 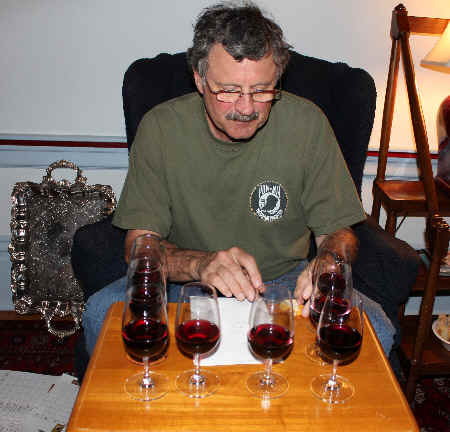 Maybe it's "just me" and I'm turning into an old codger, but these wines all left me cold. 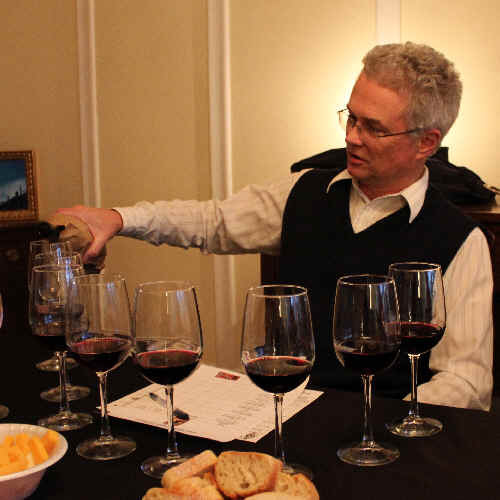 Are consumers really looking for hugely ripe, jammy, raisiny red wines? Are they looking for wine with an extreme level of "fake" oak or wood so charred it overpowers the grape? Do the winemakers want to make this sort of wine or are they being pushed by the marketing department to come up with "wines we think we can sell" or "wines we think The Critics will like"??? Some people blame the likes of The Wine Advocate's Robert Parker for these sorts of wines, but ultimately, it's the wineries who may be pandering to the market. And if they are successful in selling these, they'll continue making this style of wine. The numbers tell part of the story of the relative mediocrity of the wines. 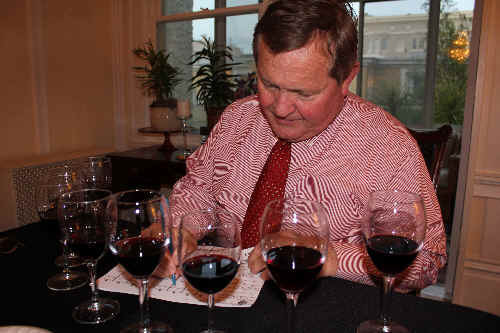 The 5th place wine was 4 points ahead of the last place entrant, meaning one taster out of the nine participants, could have moved a wine significantly higher in the rankings. 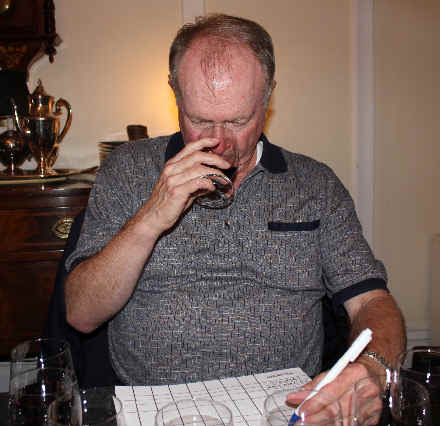 Our 1st place finisher was only 7 points ahead of the 4th place wine, meaning, again, one taster could have made a major impact on the standings. 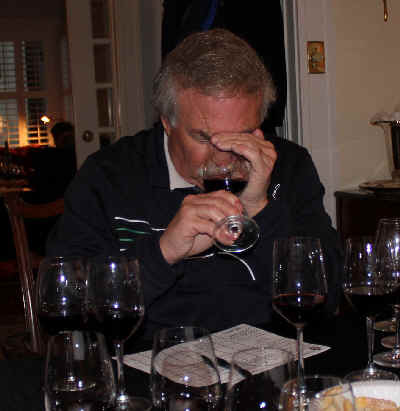 So, no clear-cut winner in this tasting and, while there were no real disasters, the entire group featured superficial wines which might cause consumers to question the pricing. Clear in appearance and deep ruby in color, this wine simply wears "too much make-up." The cosmetician who made this infused it with so much oak, this stood out like a sore thumb. It is hugely smoky and shows an off-the-charts level of toasted wood. There's lipstick all over her face and the wine ends up in clownish fashion. It has very little to do with "Zinfandel" and more to do with "cocktails." It's, apparently, all about marketing at the expense of winemaking. No stars on my three star scale, meaning it's ordinary or worse. My ranking was quite a bit more positive than that of the group. Here's a wine that's a bit reminiscent of a snappy little Chianti, acidic, mildly cherryish and fairly superficial. It's clear in appearance and medium ruby in color. There's a lightly herbal tone or vegetal note on the nose to start and there's a faintly spicy quality underneath. It doesn't seem bone dry and the acidity stands out here, giving it a tangy quality of some Chianti wines. I rated it in third place and it's a fairly standard red wine. No stars. Deep ruby in color and with good clarity, this wine comes from fruit in one of the prime sites of Sonoma's Dry Creek Valley. Rosenblum makes a flock of single vineyard Zinfandels, but it seems they harvest at such a high level of sugar (and low acidity) that the "terroir" (or vineyard-specific characteristics) is muted. I found ripe, jammy fruit with a vanilla bean fragrance on the nose. It seemed off-dry to slightly sweet on the palate and "flat" in terms of acidity (or pH). In the mouth, this wine resembled Port. It's big and full, with a moderately tannic "attack" (in the manner of young Port). No stars. 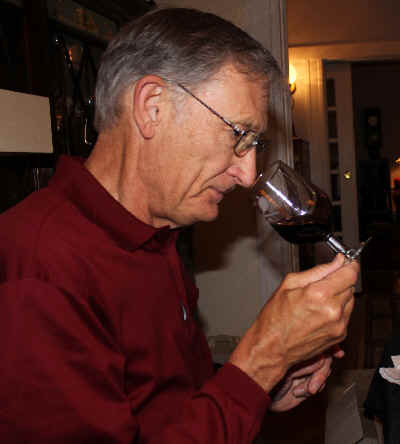 Having good clarity and being medium-deep ruby in color, I found the nose of this Zin to be reminiscent of cooked fruits and somewhat marmalade-like. It seems a bit hot, too. It's dry and flat-tasting on the palate. Thud. Fairly full-bodied, it's another example of picking late/ripe and making a mildly tannic, unbalanced (in my view) Zinfandel. No stars. Clear in appearance and deep ruby in color, the nose is dominated by a prune-like fragrance of tired, pushed-to-the-limit grapes. Jammy and over-ripe fragrances take center stage in this full-bodied, somewhat flat-tasting wine. The flavors offer the prune-like character, too. They've sacrificed the character and complexity of this vineyard in favor of ripeness and power, ultimately producing a feeble wine. No stars. Medium+ ruby red in color and quite clear, there was a note reminding me of plastics or rubber on the nose...not burnt or flawed, exactly, but quirky. Suffice it to say it didn't have a classic Zinfandel nose. The wine is dry and reasonably acidic...medium+ to full-bodied, there's a tannic streak in the middle which shows some harshness...I found a bitter chocolate sort of flavor here and the wine is, as are others in this flight, superficial and shallow. Standard quality. No stars. Clear in appearance and showing deep ruby color, this wine had a brighter aspect of fruitiness than most of the others. I found ripe, but not over-ripe berry fruit and a fragrant raspberry note to the nose. It's dry and mildly acidic...not as flat as others. The wine is full on the palate and is a solid, if not complex, example of Napa Zin. There's bright red fruit tones on the palate and it's reasonably enjoyable and balanced. My top wine, I gave it a one star rating on my three star scale, so it's not going into my Zinfandel Hall of Fame.